In the race for efficient mobile browsing, UC Browser takes the cake with a lightweight and feature-loaded offering. This is one of the primary reasons that has pushed users to make a switch to the UC browser and helped its user base climb to an enormous 130 million monthly actives in India as of January this year, according to a press statement issued by the company. The browser user base stood at the 100 million user mark back in November 2016 and it has swelled close to 25% in the past year, which reveals that UC Browser is evolving at a rapid pace. The browser also witnessed 50% growth in page views on UC Browser’s news feed from 2nd Quarter to 4th Quarter in 2017. Further, as per the analytics platform Statcounter, UC Browser currently holds about 43% of market share and is the sixth most downloaded app in India. It has also been found to be the only non-social and non-entertainment in the top 10 downloaded apps in India. Hence, UC Browser has been forced to the forefront to make necessary amends to its platform to maintain its lead. 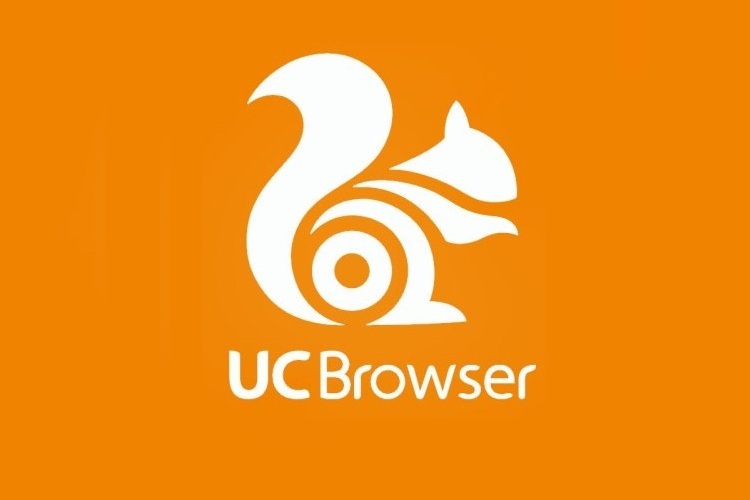 To maintain its growth streak, the company has today also released a brand new update (version 12.0) for the UC Browser. This update is focused on making the UC browser even snappier and data efficient, along with a distinct focus on video streaming. The latest version of UC Browser brings along a refreshed UI, which has been decluttered but still focused on your frequently visited websites and the latest news. 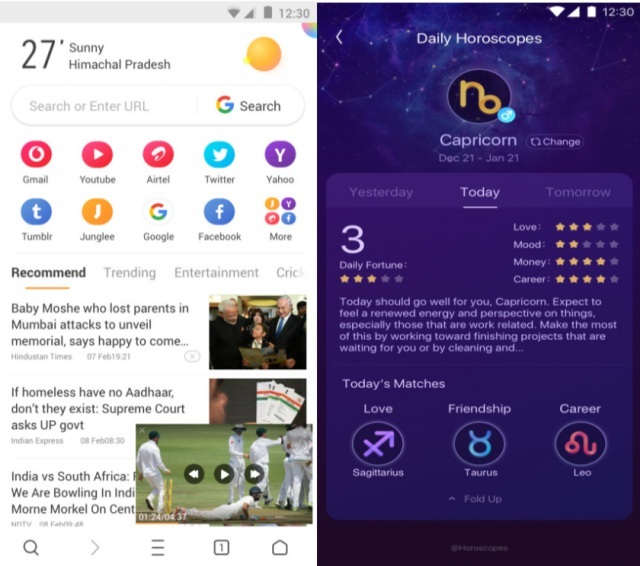 But, you’re also gaining a handful of new features like smart weather, smart zodiac signs and other nifty tweaks that’ll help personalize your browsing experience. The highlight feature of this update will have to be UC Web’s data compression technology, which makes it possible for the users to save over 50% internet data while watching videos. This feature will now allow you to stream videos in the browser without any visible buffering or lag and I can confirm the same, having used the updated version. The company placed immense focus on video streaming as India’s data consumption has increased over the previous year. UC Browser will now intelligently switch video quality to streamline your experience while offering video previews. But, that’s not all. 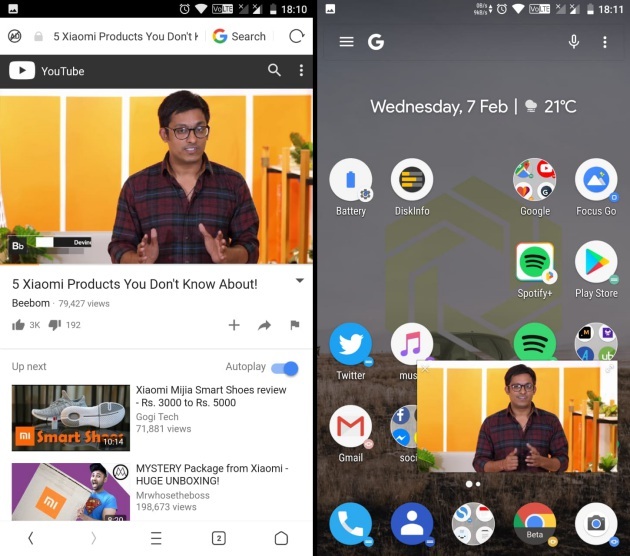 The stand-out addition that’ll attract multiple users towards UC browser will have to be the ability to watch YouTube videos in picture-in-picture (PiP) mode. The video player designed by the company will enable you to play videos atop any active window, where you can continue with your work. It will even enable you to resize the window and display the necessary controls, such as play/ pause and rewind/ fast forward in the PiP window itself. UCWeb has always been dedicated to making content easily accessible for users, even when they are in limited bandwidth area. With evolving user demands, we are also upgrading our technology. Our data compression technology now provides a ‘No buffering’ video watching experience. Now, with a massive user base, UC Browser has overtaken its prominent competitors, both Google Chrome and Opera Mobile, to hold the crown for the most popular browser in India. And with many changes in the pipeline, you can expect to see the browser further distance itself from the competition. So, do you use UC browser for your online escapades? Tell us in the comments down below.